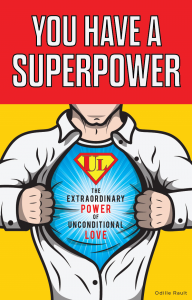 David attended the “You Have a Superpower” live course. I have had the privilege of being coached one on one by Odille. I have to say she is the most wonderful caring person, she is always there for me, even at times when I was feeling “down.” Her advice is flawless, her thoughts and words are genuine. She uses analogies that are easy to understand and make sense. The comfort level is very high, I feel I can discuss anything with her and she will never be judgmental or critical. I have gone from the brink of despair to feeling great about life. I can see the difference she has made in my life each day. She is such a wonderful coach, the results have been phenomenal. I highly recommend her coaching to anyone. I just want to say that in your first e-mail you said to me you thought I was going to surprise myself and although it hasn’t been that long since then, I really have so far! I have decided on a completely different career path which is so exciting that I can’t wait to get up in the morning and some of the strain in my relationship has lifted for both of us as I felt confident and strong enough to make that really necessary talk which I was afraid to before. So thank you for all of that! I am so grateful to you for the amazing support you’ve shown me and the way you explain things so clearly. The exercises you gave me to do were amazing and really helped. Noone else seems to understand. Everyone else was telling me to forget it. Without your guidance I would have given up, but instead I’m happier than I have ever been before. Thank you. Working with Odille was great! She taught me an unconditional love process which worked like magic! I was nervous when I first started but she explained everything clearly and took it step by step. She was very positive and always added encouragement to everything. I was also able to ask any questions without any hesitation and everything was explained perfectly. Whenever I needed help I was able to contact her and even got specific steps to follow when I was stuck. After working with her my entire life changed, everything turned around and life started to work in my favor. Miracles started to happen in my life that I never thought would. I began to have a new perspective on life. The experience I had was truly amazing and life changing. Just to let you know that with your help my life has improved immensely over the last few months. I have attracted all sorts of positives to my life such as more money, new friends and much more. Most of all I just want to thank you for all your help. I was in a really bad place when I found you but my general feeling of wellness everyday is such an amazing thing. Odille helped me to overcome my fears of public speaking in preparing me for my best man speech in front of over 100 guests. As a ‘non’ public speaker this was very hard for me to do. She gave me expert tuition* tailored to my situation which really helped my confidence in delivering on the big day. Her advice was second to none and without her help I wouldn’t of have had such a great result. Ross only had two sessions (one week apart) with Odille before being ready to deliver his speech! 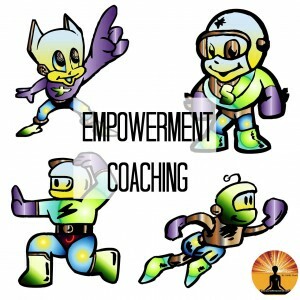 Odille’s Empowerment Coaching works very quickly for most people! From the first day onwards I was so overwhelmed and moved by Odile’s words and was very sure that whatever methods and ways she is going to share will completely get me out of all the negative issues in my life. Her books are the best and explain very well how to deal with any negative situation and get it converted into positive one BUT talking to the person itself, is way more appealing because via mails or calls we can directly explain our problem in a very elaborate way and get the solution immediately and start working upon it too. I am very glad that I came to know about this marvellous opportunity through my best friend, joined it instantly and got rid of my major issues. For now I am working on the small worries of life through the superpower exercises and getting very good results slowly and steadily. She guided me on a daily basis via e-mail about each and every step that was supposed to be taken at every stage. I would like to recommend everyone to please join these great One to One coaching sessions as they will completely change your life for the good and only good! Those who love LIFE will surely want to bandage all the small troubles and improve their future. The private one to one coaching has been a blessing in disguise for me. I had lost all hope that I will again lead a normal life and can become a happy person. I had been depressed for almost 8 months and had lost all desire to live life. My life had become a big mess and I didn’t know how to sort it out or where to start with. Then I contacted Odille, I had read her book*1, and that made me feel that may be she can help me come out of my depression. The first time I talked to her I started feeling much better, felt more positive than I had in a long time, saw a ray of light, she was the first person who understood me so well. She could see my problems and for the first time in 8 months I felt like somebody was supportive of me which I didn’t even feel from my family. I had never expected that one call would start making my life so much better and happier. Her solutions are very good and the way she explains them with the help of examples and scientific explanations is brilliant concept. I feel very lucky that I came in contact with her and had her guide me through this tough time. Within 2 weeks I started to feel normal again and now I’m happy in my life again. She is an amazing person and has a very positive attitude which always makes you feel positive as well. I would highly recommend anybody who is going through a tough time and is depressed to go for the one to one private*2 coaching with Odille and there is guaranteed positive result in a short time. It’s an absolutely amazing feeling to be normal again. In fact, Odille I would really like to thank you from my heart for being my guiding star! Joyeeta had a one-off coaching call with Odille on the 28th May, 2015, and then booked a One Month package (2 calls per week + email support). I can recommend everyone who needs more love in his or her life (and who does not need that?) coaching from Odille. I had a deep and vague fear of other people since I was very young and Odille helped me to overcome this fear by using love. Odille’s coaching helped me to get rid of the greatest part of the fear. I think it will take some time to completely get rid of these fears as it takes time before sending love to everyone and everything to become a complete routine. I am very easily distracted and forget about love sending, but this happens less and less and sending love has become more and more my natural status. Also Odille helped me to get rid of some irritations I had in my marriage. I already read her books on Kindle and visited her website quite often. But still I had the feeling that I could use some extra coaching and some practical tips how to use love in my situation. I was coached by Odille via e-mail and I really liked that way of coaching. A great benefit for me is that I can take the time to digest the information, to exercise with it, to give feedback and to ask new questions. I paid for 6 e-mails and all these e-mails were very extensive. 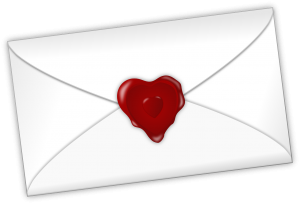 The e-mails had a very caring voice, they were absolutely tailor made to my situation and no standard e-mails. She also sent me some e-mails to ask me how I was doing and to answer short questions, but these short e-mails were not counted by her. I had read a lot about love sending before, among others the books of Klaus Joehle. And I have sought for hours and hours about how to send love and bless others on the internet, but I have never found someone who teaches to use love in such a practical and efficient manner as Odille. I can highly recommend her coaching to everyone who could use some more love in his or her life.